How to Maintain Claw Crane Machine? It is not an easy task for many operators want to select a good claw crane manufacturer in the amusement game industry. 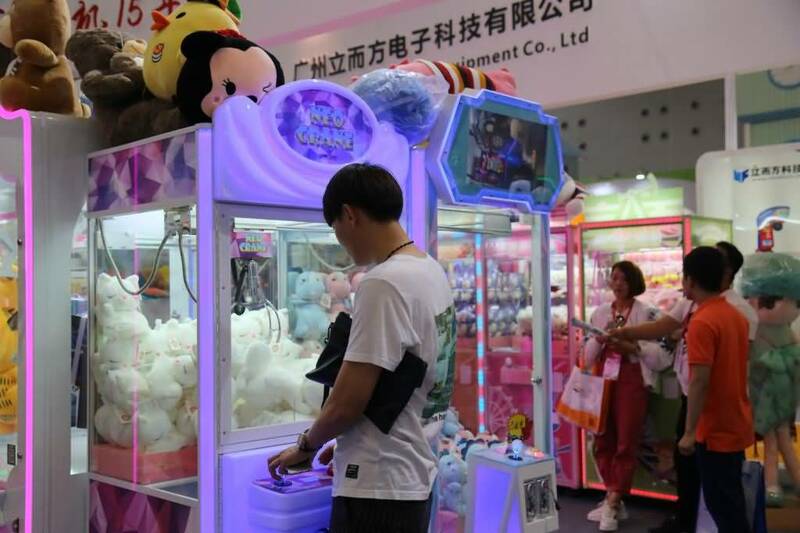 But it can be recommended by authoritative websites and suggestions from related parties, or make field trip in location to understand the characteristics of most of the claw crane machine manufacturers in the industry. look at which claw crane machines manufacturer’s reputation and reputation so that you can have a very clear answer. According to the recommendations of relevant persons, Neofuns Amusement claw crane manufacturers can provide operators with various protections. Neofuns Amusement claw crane manufacturers can provide entrepreneurs with specific methods for maintenance of claw crane machines, enabling operators to know how to extend the service life of the machines, which can also reduce the cost of maintenance and enable them to continuously reduce costs during the operation. No matter how good the quality of the products produced by the crane machine manufacturers, it also requires careful maintenance. If it is not done in this respect, the service life of the machines is two years less than that of the fine maintenance. First of all, the claw crane machine manufacturers suggest that the operator must cut off the power in a timely manner when it is not operating a crane machine. This mainly refers to the fact that the machine needs to pay attention if it is not used for a long time. If the power supply is not cut off in time, there may be some accidental leakage or power failure, which is also not conducive to extending the life of the machine. Secondly, crane machine manufacturers also suggest that operators should pay attention to moisture protection when storing crane machines. After all, various circuit boards and circuits are relatively expensive. If one does not pay attention, some powder layers may appear and the damp weather will cause damage to the circuit board. In the end, the machine may not work properly. On the other hand, crane machine manufacturers also suggest that operators should keep the entire machine clean, learn to routinely maintain and clean up, so that the crane machine can always maintain a brand-new state, it can also attract consumers to play. Therefore, claw crane operators should note that they should also promptly follow the specific recommendations given by the manufacturer of the crane machine so that the service life of the machine can reach more than five years. Every kind of crane game machine should be maintained by the operator, and it can provide good protection for all parts of the machine, which can make the operation of the machine more smooth.